Is it worth going 100% off grid? With a combination of PV and battery storage it is technically feasible to become independent from the grid. However, for the next few years at least, it would not make financial sense to do so when there is a grid connection available. Using a typical Australian home as an example, we can investigate what it would take to become independent to the power grid and the costs involved. 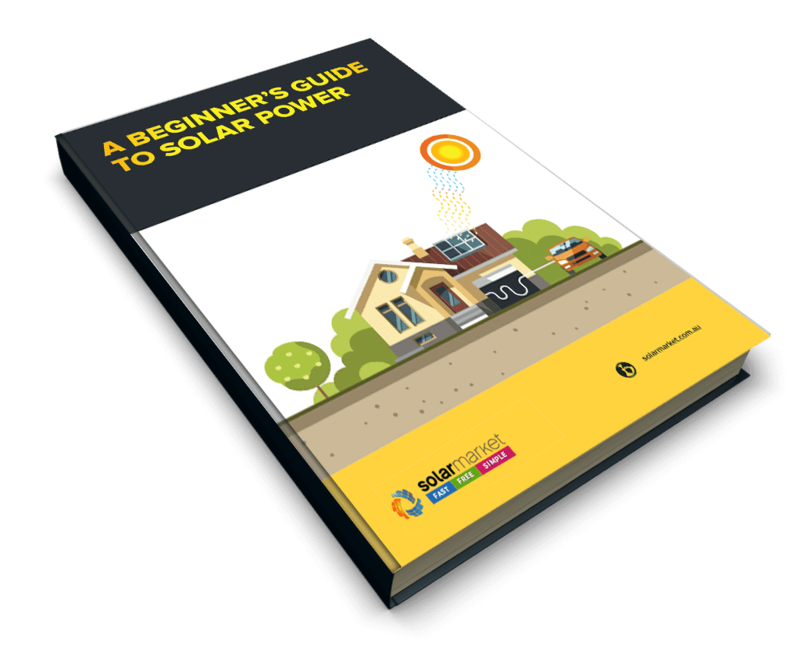 The average Australian home uses approximately 16 kWh (units) with a peak load close to 1.2 kW. The way that power is used throughout the day is shown below. 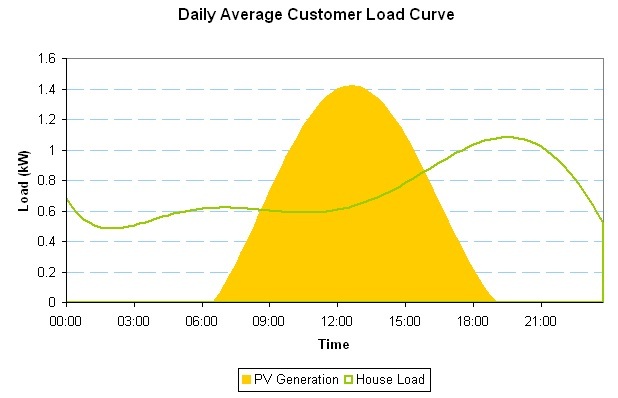 As can be seen, peak load occurs in the evening between 6pm and 8pm, whilst solar peak generation occurs at midday. To meet the whole day’s energy requirements, the orange area in the graph above must equal the area under the green curve. However, this is not strictly true since inefficiencies in storing and then removing power from batteries means that the orange area must actually be about 10% more than the area under the green curve. This scenario works if we assume that we get optimum sunlight everyday, but as we know ,there are days when there is intermittent cloud cover or even overcast the whole day. Therefore, the battery storage and PV should actually be designed to cover multiple days in the event that there is no generation available tomorrow. Typically stand alone systems are designed with 3 days of backup generation. This setup makes sure that even in winter, the solar system will produce enough power to charge the batteries to give 3 days worth of backup. Lead acid batteries were chosen since at the moment they are the most widely used in the market place, though this is likely to change over time. Since we are using lead acid the storage capacity was doubled to allow a 7-8 year lifecycle on the battery storage units. The total cost of this system using current market prices is approximately $29,000. The shortest lived component are the batteries and will need to be replaced every 7-8 years, they represent $16,300 of the original $29,000 price tag. At current battery storage costs, an off-grid system would not pay for itself ever since the batteries would need to be replaced before they’ve paid or themselves. Even then the reliability of this system would be far less than the reliability of grid supply in most areas of Australia. 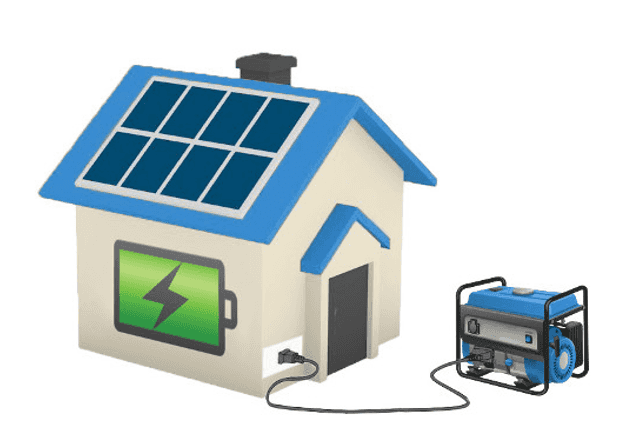 At present there is currently no advantage to going off grid when there is a good grid supply given the high cost, low reliability and large amount of physical space required to operate an off-grid system.